At The Grout Medic, we are experts at refurbishing, replacing, and fixing grout and tile in a variety of applications including floors, tubs, showers, counters, outside surfaces, counters and more. We offer tile and grout services for floors, including cleaning and sealing, staining, and replacement of cracked grout and tiles. As a society, we are constantly on the go. 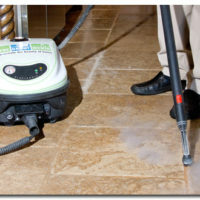 One of the first things to show the constant movement of people is wear and tear, or traffic patterns, on your floors. Much like carpeted walkways, floors with heavy traffic will show discoloration in the grout joints. The Grout Medic can properly clean and seal your floors by applying an environmentally safe solution to your floor that pulls dirt out of the pores of the grout joints. Once this solution is applied, the expert at The Grout Medic will use an advanced steam vapor cleaning process to eliminate traffic patterns. Once your floor is free of stains, a clear, penetrating sealer is applied to protect your grout joints from future discoloration. 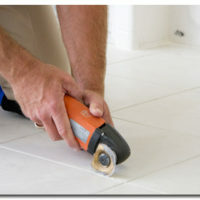 Maintaining your existing tile and grout is one thing. If you’re interested in a beautiful new look, The Grout Medic offers tile and grout cleaning and staining services to help you change things up. Our staining process is a permanent, penetrating color stain that is absorbed throughout the entire grout joint. The end product is a fresh, new look at the fraction of the cost of grout replacement. Not to mention, the service is environmentally friendly and has an available lifetime warranty. 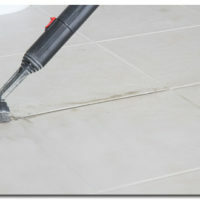 Tired of looking at broken or cracked tiles or grout lines? The Grout Medic offers services to remove and replace broken tiles and grout lines in order to help you avoid costly floor replacement services. We offer numerous grout color sealing choices to match your existing grout color and will even help you locate hard-to-match tiles. To learn more about our tile and grout services for floors, call 1-866-994-7688 or contact your local Grout Medic professional.